Providing an entertaining mix of music: the antidote to a noisy disco! 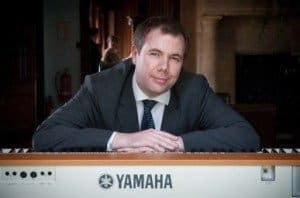 Hiring a professional musician – such as violinist and pianist Simon Jordan – can give your big day that magical personal touch. A violinist or pianist is an ideal addition for weddings and can make your wedding even more memorable by performing at your ceremony, while you walk down the aisle and as you sign the register. 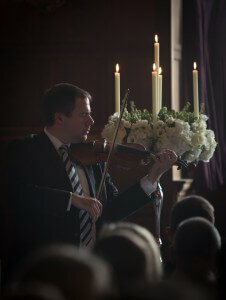 Many couples also have a violinist or pianist performing during wedding canapés (drinks reception) and during the celebratory wedding breakfast. 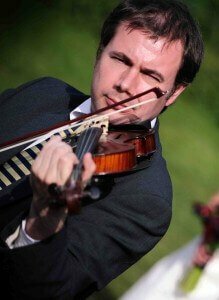 Simon Jordan is a violinist and pianist who has performed at many weddings large and small, and who has played the violin and piano professionally for 20 years. A former BBC radio producer, the violinist and pianist is familiar with all sorts of music, from Bach to Beyonce, and can play any sort of music on request. The musician can be hired for the marriage ceremony, the drinks reception, the wedding breakfast or for the duration of the wedding day. The wedding violinist and pianist Simon Jordan has up-to-date £5 million of Public Liability Insurance and regularly PAT tests equipment to ensure it is safe to be used. 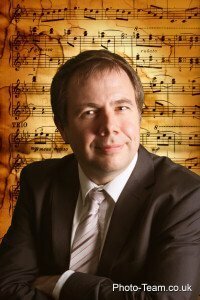 The wedding pianist and wedding violinist also offers you to the chance to hear him play live before booking, over Skype or FaceTime. Demos on websites are fine, but live music and a 1-to-1 consultation can sooth worries and answer all questions. Check the availability of your date by using the contact form on the right.